Oh, the sound of rain on a tin roof, or the rustling of leaves on a crisp fall afternoon. Both of these things may prompt you to want to sit and relax with a warm cup of tea. Sipping tea is not a new art and countless cultures have been doing so for centuries. The history of tea spans back to its birthplace, China. An old legend states that an Emperor, Shen Nung, an avid herbalist was sitting under a tree while his servant boiled some drinking water. When the leaves from the tree blew into the water, the Emperor decided to try the mixture and was pleasantly surprised by the taste. The tree, Camellia sinensis is what we now call tea. Unlike green or black tea, chamomile tea actually comes, not from a tree but from a daisy-like plant. Plants in this family produce tea that is most commonly known for its relaxing, sleep-inducing properties. A flavonoid, chrysin, found in the plant is partially responsible for its reputation as a sleep aid. This herbal tea has a fruit-like flavor similar to apple and besides being delicious, has a number of valuable therapeutic properties. It has been found to contain 28 terpenoids and 36 flavonoid compounds including the bioactive components – coumarins, flavonoids, terpenoids and mucilage. Together, these properties give this delicate little flower its potent healing touch. The dry chamomile flower is known for its anti-inflammatory, antioxidant, antifungal, antispasmodic, anti-ulcer and astringent healing properties. Here are just a few of the ways that a warm cup of chamomile tea can improve your health and wellbeing. The strong antispasmodic and anti-inflammatory properties found in chamomile tea make it an effective remedy for stomach cramps. Drink tea twice a day, in the morning and the evening to relieve pressure and pain. As soon as you feel a headache coming on drink a cup of chamomile tea. The key is to drink the tea before the headache gets too bad. If you find yourself with a nasty stomach bug, try a warm cup of chamomile tea. It can bring relief from the cramping and pain that accompanies IBS. 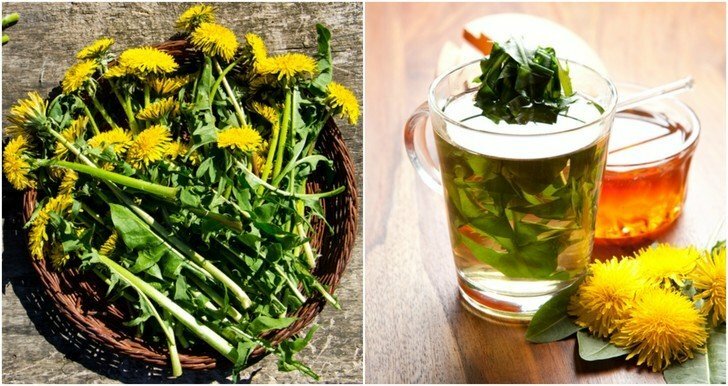 In addition, it can help relieve excessive gas and bloating. If you suffer from frequent colds or flu, catching every bug that comes around, you may benefit from drinking a cup or two of chamomile tea daily. A study published in American Chemical Society’s Journal of Agriculture and Food Chemistry found that when German chamomile (Matricaria recutita) tea was consumed five times a day for two weeks, markers of antibacterial activity increased in participants. Not only is chamomile an effective herbal infusion, but it can also be used topically. The Egyptians, Romans and Greeks all used a poultice made from chamomile flowers for wound healing. Rub a small amount of strongly brewed tea on minor scrapes and burns or make a compress with a clean cloth. To make really strong tea, brew 3 bags in one cup of boiling water. Be sure wait until the tea has cooled to use. If you hate that tired look that comes with dark circles, you may want to try some chamomile tea. The tea reduces inflammation and tightens skin, leaving you looking refreshed and vibrant. Dip two tea bags in warm water and leave them in there for five minutes. After they cool, place them on your eyes at night for a soothing compress. Skin can become blotchy as we age. To help moisturize and even out uneven spots, use chamomile tea. Simply boil 2 cups of water with 2 chamomile tea bags in it. Pour into a bowl and carefully place your face in the steam. To intensify the treatment, put a towel over your head. This will relax you while it conditions and lightens your skin. Chamomile is loaded with beneficial antioxidants that help fight free radicals. This makes it useful in the prevention of bacteria that causes acne. Use the same steam method as mentioned above a few times a week to keep your pores clean and bacteria at bay. Swelling from overuse or injury can be very painful. Rather than look towards anti-inflammatory medication that can cause serious side-effects, try some chamomile tea. The tea is loaded with natural anti-inflammatory properties that go to work to help your body reduce swelling. Drink a few cups of tea to relax muscles or make a compress for the sore area uses cool tea. According to research, drinking a cup or two of chamomile tea after meals is an effective way for diabetics to reduce blood sugar and decrease their risk of vision, nerve and kidney damage. Many people in Greece enjoy herbal teas, especially chamomile tea. Not surprisingly, researchers have found that the rate of thyroid cancer in Greece is much lower than those found in the United States or Europe. It was found that persons who drank chamomile tea six times a week had a 70 percent less chance of developing thyroid cancer and those who consumed the tea regularly for thirty years had an 80 percent lower risk. It is suspected that flavonoids in the chamomile such as apigenin, found also in celery, fruit, herbs and parsley, contributes to its anti cancer potency. In animal studies, apigenin has been found to shrink cancerous tumors. A 2011 study showed that apigenin delayed the formation of tumors in rats with breast cancer. Another study conducted in 2013 showed that apigenin blocked the ability of breast cancer cells to stop their own death. Sunburn, rashes, eczema and insect bites can be annoying and painful. Because of its anti-inflammatory properties, chamomile can ease the pain and irritation. In one study it was found that chamomile was 60 percent as effective as hydrocortisone cream. Chamomile tea elevates levels of glycine which has been shown to calm muscle spasms. Glycine is a known nerve relaxant, which also makes it an effective anxiety and stress reliever. Here are a few suggested ways to use dry chamomile flowers (available to buy from here) for therapeutic use. In the bath: For inflammation and irritated skin, add 2 ounces of dried flowers to warm bath water. Add 15 drops of tea tree essential oil for added benefit. Gargle: Pour 4 ounces of boiling water over ½ ounce of dried flowers and let steep for ten minutes. Use as a gargle to reduce inflammation of mouth and throat. Inhalation: To reduce inflammation in the upper respiratory tract, pour 4 ounces of boiling water over ½ ounce of dried flowers. Place a towel over your head and breathe in steam 1-3 times a day. Is there a right way and a wrong way to make a cup of tea? Some say that the potency of any tea rests in how well it is made. Here is a suggestion for making the best cup of chamomile tea. Pour fresh water in a clean saucepan (one that you reserve for tea making). Boil the water while you rinse and clean chamomile flowers (fresh or dry) in cold water. Put 2-3 teaspoons of flowers (for every cup of water) in the water once it comes to a boil. When the water turns color and you can smell the flower aroma, turn the heat off. Strain tea into a cup. Note: Always check with a qualified health practitioner before using any herbal remedy at home.